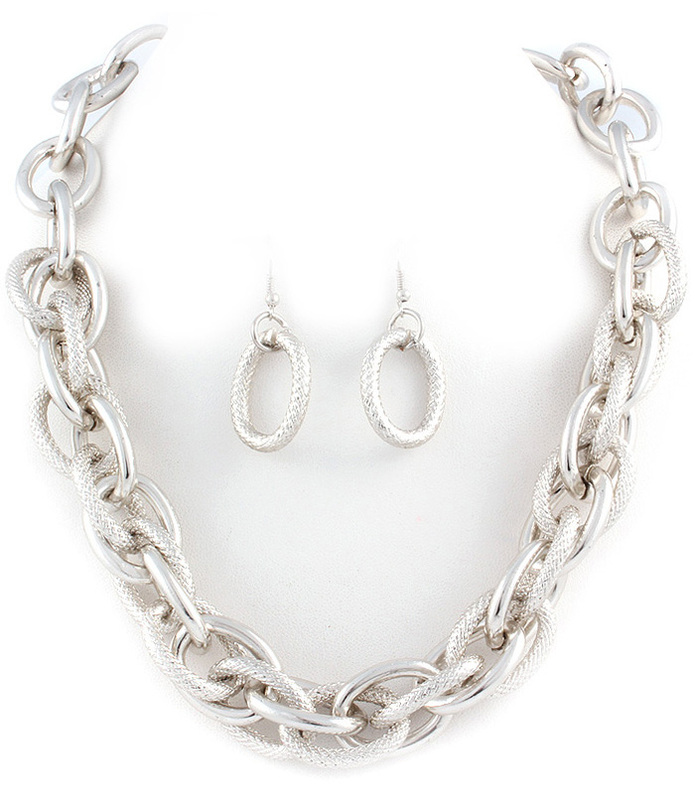 Extravagant and appealing, this necklace features two silver tone chains - a smooth chain gets intertwined with a textured one. The earrings have one large pending textured link on a hook fastening. Oz Bling's jewellery Australia offers huge ranges, simple shopping, fast shipping and superior customer service.